Climate of Colombia in the last three years has favored the sugar cane harvest, which also resulted the ethanol supply increase. Ethanol production in Colombia has increased from 15% to 25% per year according to the foreign affairs department of the USDA American. 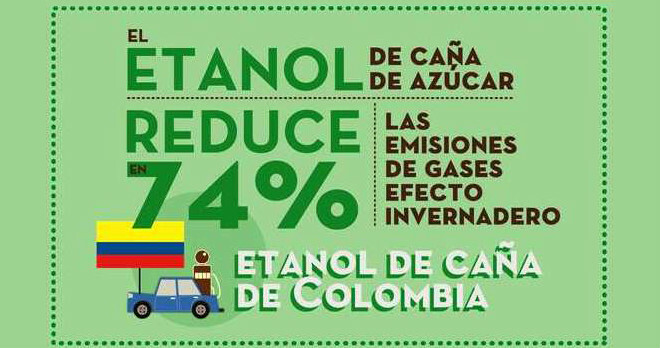 In 2012, ethanol production in Colombia was 355 million liters, and in 2013 is expected to be a total of 410 million liters. Although there are several studies in Colombia looking for funding for the production of ethanol and biodiesel derived from alternative raw materials besides palm oil and sugar cane, the surplus in the production of these products supported the production of biofuels. According to data from Unica – Union industry sugar cane, Colombia adopts mixture of 10% ethanol to gasoline since November 2005 at 83% of its territory and the mixture will reach the rest of the country, as their production ethanol increase.